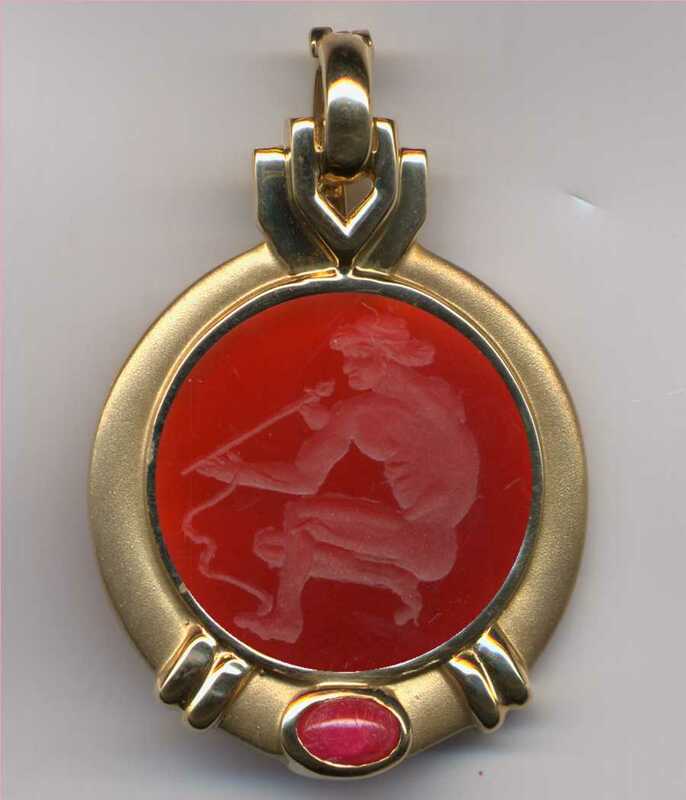 The original engraving was described in a museum catalog as: Greek intaglio - Chalcedony scaraboid - About 500 B.C. Attributed to Epimenes, an ancient gem engraver from the archaic period (580-480 B.C.) It represents an archer testing an arrow; a bow hangs from his left forearm. His trunk is drawn in three quarter back view, the rest in profile. The size of the original stone is 17mm. Metropolitan Museum of Art. New York.